I'm a copywriter and freelance writer living in Melbourne. My novel, Another New York Murder, is available online. 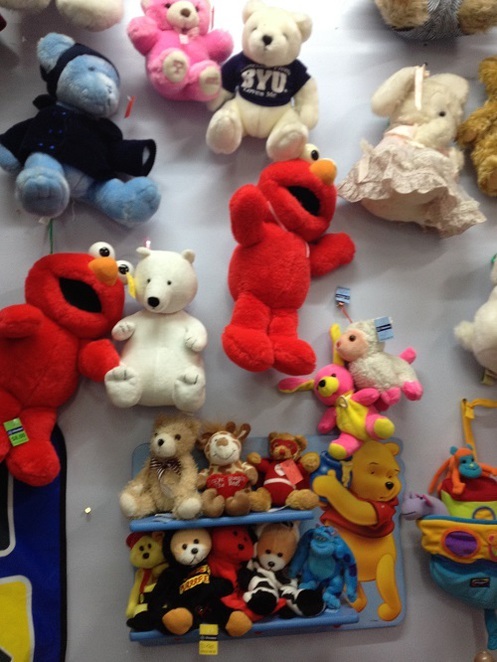 The small shopping strip in Edithvale doesn't have a huge selection but the Vinnies taking pride of place makes it not matter. Making good use of its former life as a cinema, the beauty now is that there is no telling what the coming attractions will be. Of course, the great thing about all op shops is that you never know what's just arrived, making continuous visits a most pleasurable necessity. 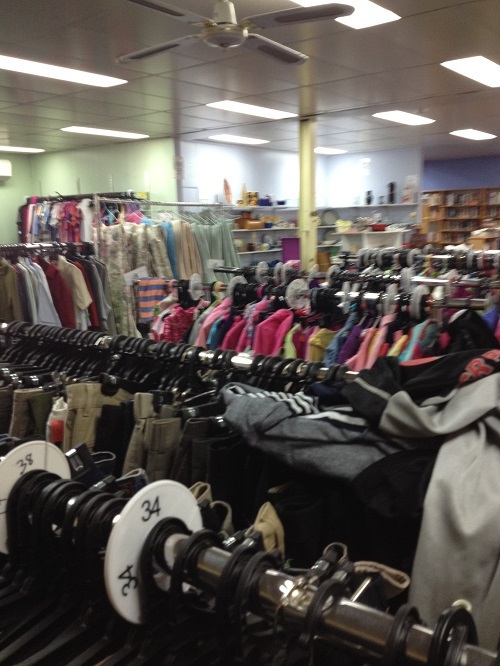 Op shops sit in local shopping strips like quaint department stores; a local meeting place where some bargain hunting can also be done. The staff is friendly and sometimes it's enough for many members of the community to just come for a browse and a chat. For those more serious bargain hunters among us, however, there's a good selection of fashion, home wares, books, DVDs and cds and that most beautiful of words to the true bargain hunter: bric-a-brac. It's all arranged in perfect randomness that will take effort and commitment to find the gold that is buried within. The clothing section takes centre stage in my forthcoming sartorial autobiography I call "How I needed a new pair of jeans and walked away with over a dozen designer pairs for less than the price of one." 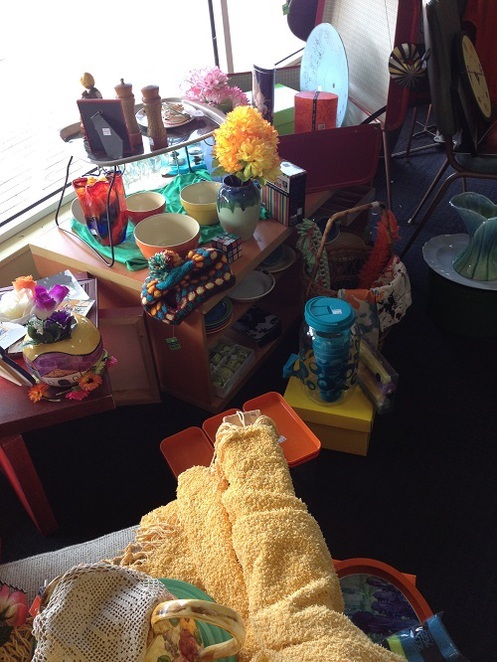 Blissfully, the volunteers who kindly donate their time and efforts for the successful running of every op shop are unaware of the true price of the heights of fashion that the Edithvale Vinnies has regularly scaled. The books section here is a desperately random public booty that will require the sort of head tilting browsing endurance possessed by only the most dedicated of bibliophiles. But any browsing efforts are sure to be rewarded with rare first editions, discreetly discarded new releases and even the occasional signed copy lining these shelves, waiting to be picked up for the price of a Paddle Pop. 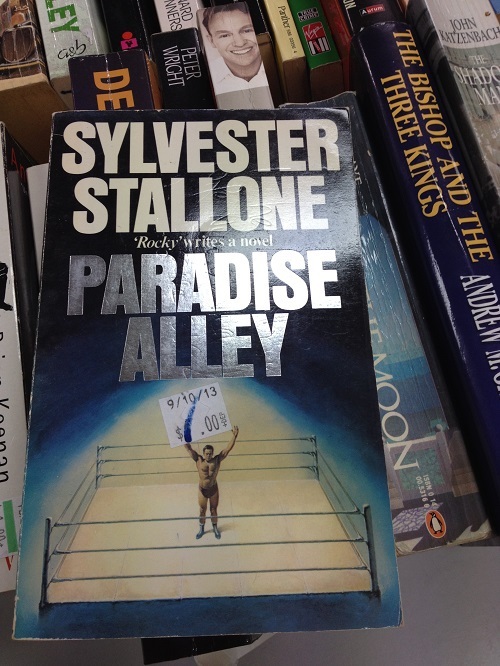 Where Else Would You Find Sly's Literary Output? the moniker of "The Treasure Shop" from my toddler son and indeed we have Vinnies to thank for his obsession with the Pixar Cars universe. Little did we know that the purchase of a dozen or so of the character cars for a few lonely dollars would spark our very own contribution to the spike in the share price of both Disney and Mattel. It also, for the price of $1.50, recently contributed his two most popular birthday presents. The best thing about the Edithvale Vinnies, and indeed all Vinnies, is the prices. These are where you will still find great bargains. A few gold coins will get you acquainted with treasure, a retro Eames side table, some Diesel jeans, a JAG shirt and you'll still have some coins left for a coffee at the Sea Breeze and a walk along the silken sand of the beach. Edithvale Vinnies is at 254 Nepean Highway Edithvale. It's open Monday to Friday 9AM - 5PM and 9AM - 130PM on Saturdays and 11AM - 3PM Sundays.